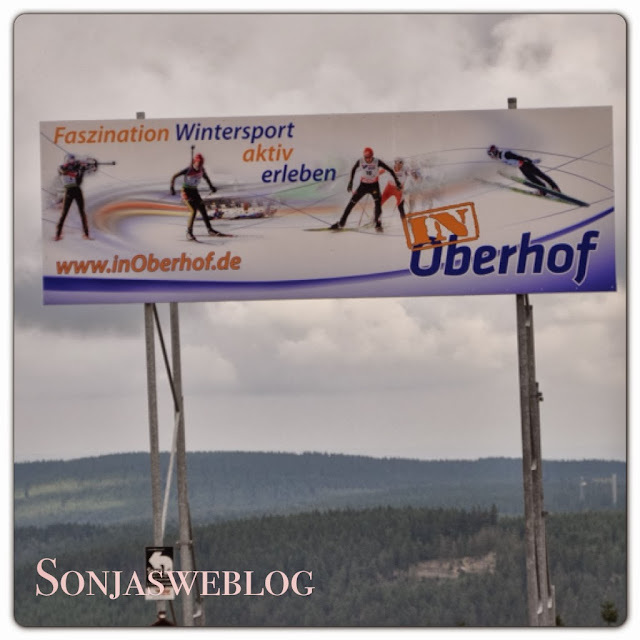 The last day of our trip to Southern Thuringia was Oberhof, a town known for it's Olympic Training Center for winter sports. As I am not the winter sports type of person I first couldn't relate to this place, so it was a great idea of the organizer of this trip to have a brief introduction by someone who lived and trained many years in Oberhof. Sven Fischer, a multiple winner of major championships in biathlon, now retired and working for the media, gave us an insight into the life of a top-athlete. And how he coped when retiring from competitive sports. His vita is impressive! 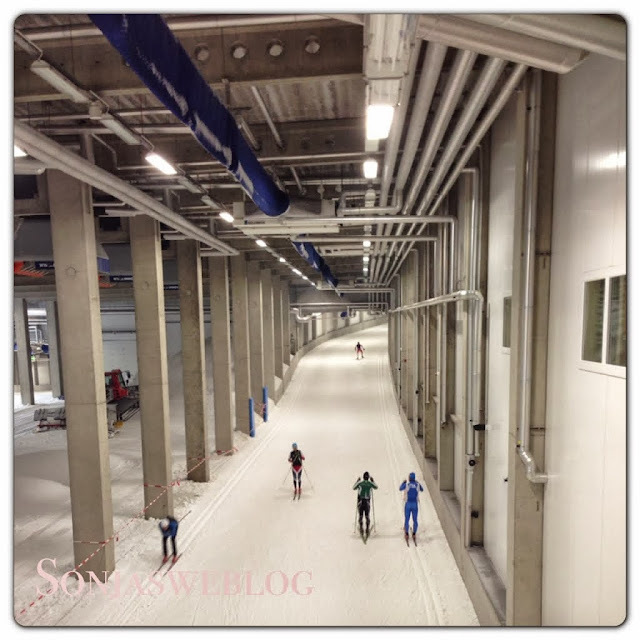 After the introduction we went off to see different training places for cross country skiing and biathlon, skeleton and ski jumping. Sven, as our guide, explained and told stories about each place we visited. In between there were people asking for an autograph or to have a picture taken with him. Well, real winter sports fans. Albeit his popularity he is a very easy going and down-to-earth person. 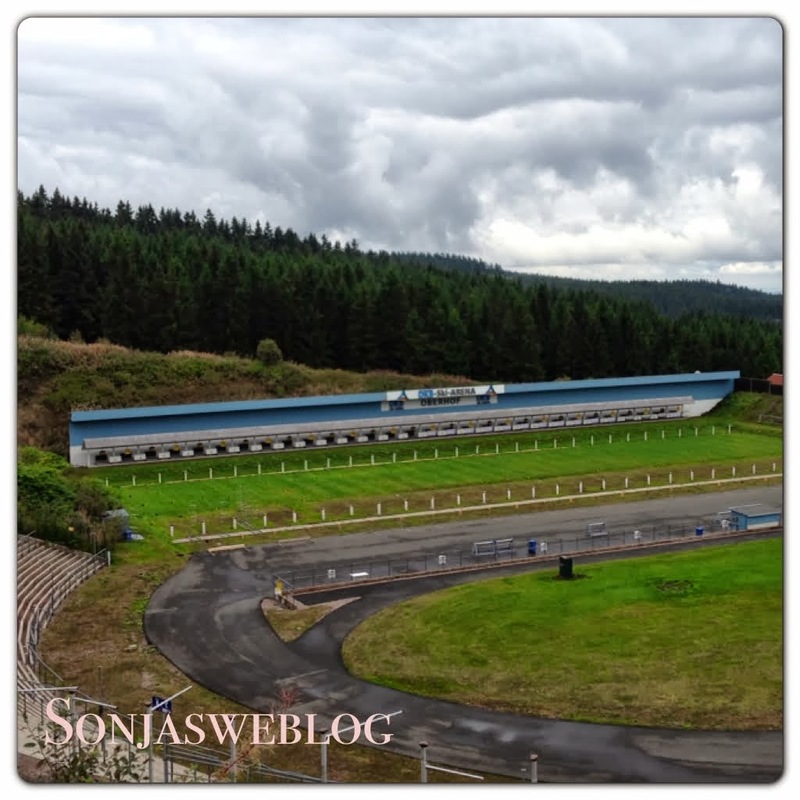 At the end of our tour we went to a riffle shooting area and were greeted by more biathlon professionals. 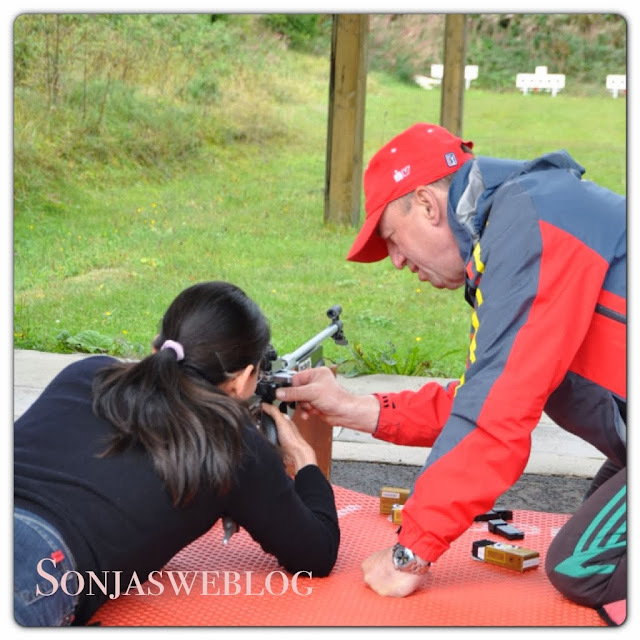 While munching on a bratwurst - after visiting all this training places we got hungry - they explained us the visitor's competition rules for riffle shooting. Well, for some of us including me the bratwurst got stuck in our throats. Me, riffle shooting? The instructors were very friendly and veeeeeery patient. It took some time to get into the right position and to understand where the targets for your lane were located (the distance to the targets is 50 m, but you could easily mistake the targets of the adjoining lanes for your own targets when looking through the riffle lens). And miraculously I was able to hit all big targets (diameter 12 cm), but only one of the small targets (diameter 5 cm). Still I was quite content and it was fun after all.